Mix first five ingredients in large saucepan, bringing it to a boil. Reduce heat, then continue to stir until mixture thickens. 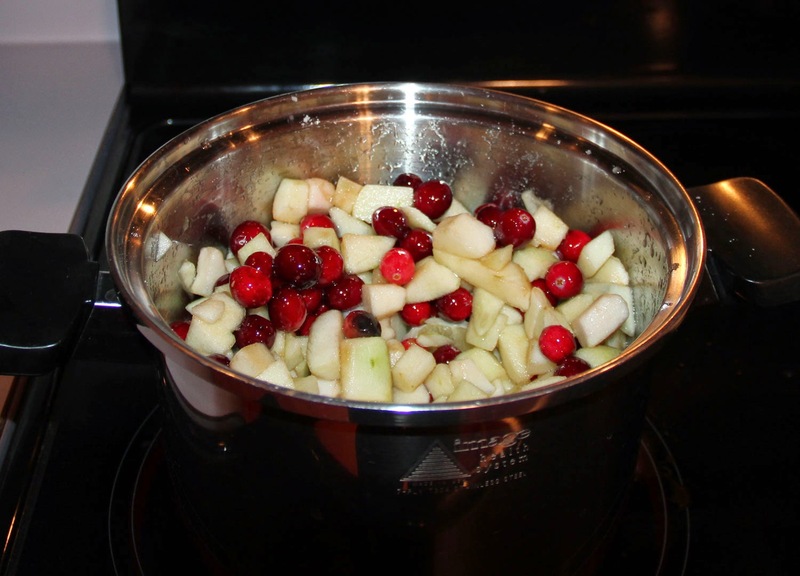 Remove from heat and stir in dried cranberries. Cover and chill until ready to serve. When I mixed the first five ingredients to put in the saucepan, it looked like I had way too many apples and not enough liquid. But the apples cooked down pretty quickly. It did take several minutes to bring it to a boil (and I did wonder at one point if it would ever boil!) but once that happened, it started to thicken up fairly quickly as well. The ¾ cup for the dried cranberries is equal to about a 5 oz package of Mariani dried cranberries. I wasn't sure if I was going to put the dried cranberries in or not, but I did and now I can't really tell the fresh berries from the dried berries. The recipe is very easy to make. The most work is first peeling and prepping the apples, then continually stirring the mixture until it thickens, but it can easily be whipped up within a half hour and it will keep for up to two weeks, according to the original recipe. I have the sauce chilling in my refrigerator right now, but I did take a quick taste. 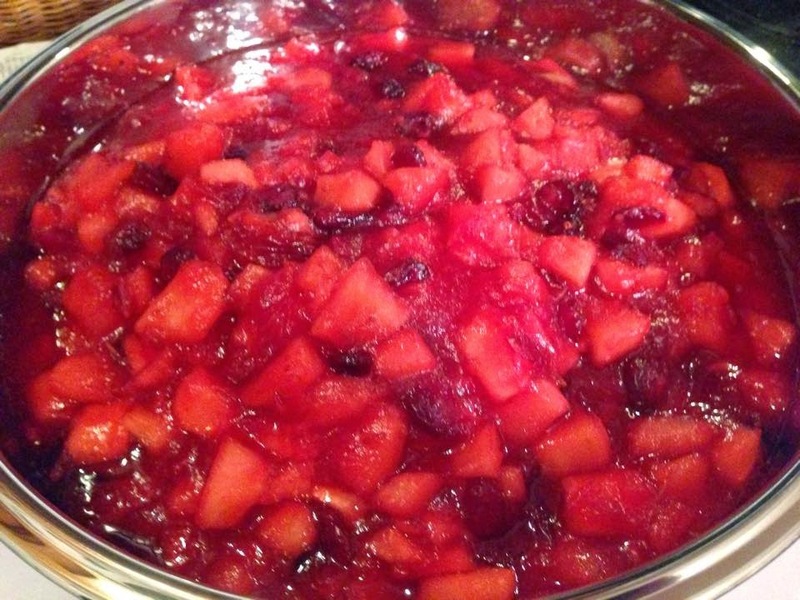 There is a nice blend of tartness and sweetness that you would expect from cranberries and Granny Smith apples. It's going to be the perfect sauce to complement turkey and mashed potatoes in a couple of days. Much better than anything out of a can. I want to try to eat.